One of the most common problems with laptops is damage to the screen. Unlike desktops, we all carry our laptops from place-to-place, so it’s no wonder that screen damage happens so often. 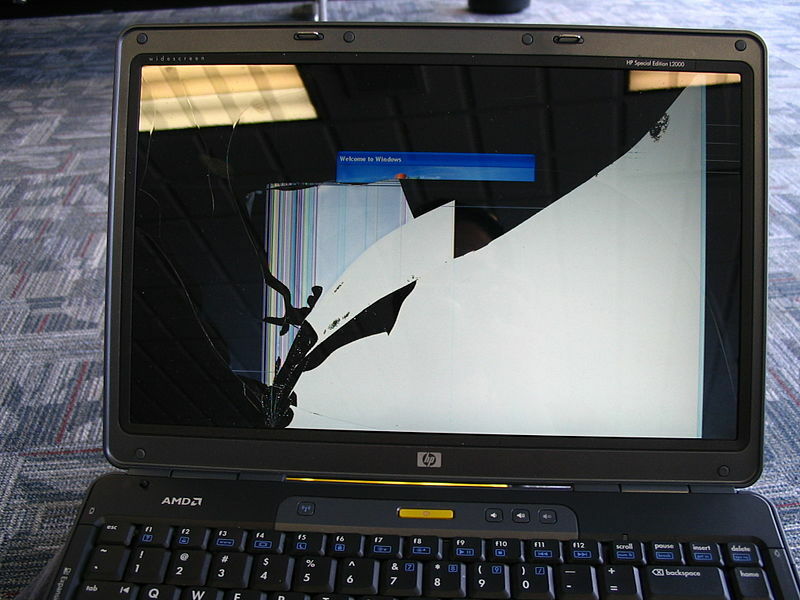 This article will explain how a laptop screen repair is done, from initial troubleshooting to installing a replacement. If you’d like to have this service performed on your laptop, call us at 1-800-919-6373 or fill out our contact form. Before trying to replace your laptop screen, we have to first make sure that your screen actually needs repair. You may have dropped your laptop, and after seeing that it isn’t displaying an image, simply assumed that the screen must have broken. The screen might even be cracked a little, and yet that still might not be the reason you can’t get an image. If your laptop has a VGA output, we connect it to a desktop monitor or television to see if it shows the image correctly. If it still doesn’t show, it means that your graphics card or motherboard is probably damaged. If this is the case, we would suggest replacing these components. Only when we can see an image on an external monitor but not your laptop screen do we replace the screen. Another problem we may discover is that we may see a dull image on your laptop screen, or the backlight may flicker on and off. If this is the case, it is probably caused by a faulty inverter. If so, we contact you to suggest replacing the inverter and see if that fixes the problem. If we don’t see any image at all on your laptop screen, but the laptop displays fine on an external monitor, we know it’s time to replace the laptop screen. Once we’ve decided that the laptop screen needs replacing, and you’ve given us the go-ahead to start working on it, the first thing we do is remove the power brick and battery. Next, we look for rubber tabs on the frame around the screen. After finding these, we use a flat-head screwdriver to gently pry open these covers one-by-one. These reveal several screws holding the “bezel” or screen-frame together. In most cases, we can unscrew these bezel screws using a small, phillips-head screwdriver. However, there are some laptops frames that are held together by allen screws, in which case we use an allen screwdriver instead. We have tools to remove every type of screw, so we’re ready for whatever weird puzzle the laptop designer throws at us. In some cases, there may be no screws holding the frame in place. In this case, we can open the frame by inserting a small, flat tool into a slit that runs along the top and sides of it. Once we’ve got the screws out, we pull apart the bezel and the LCD screen. In most laptops, the frame is secured to the screen with plastic snaps, so we know it has finally come out when we hear the “pop” of these snaps releasing. Once the bezel is removed, we see the LCD screen inside of another metal frame. This metal frame is resting against or attached to the back case of the laptop. We remove the metal frame from the case either by unscrewing more screws or by simply pulling them apart. Once we can get the LCD screen and metal frame away from the back case, we unscrew the rest of the screws that hold the metal frame to the screen. The LCD then comes loose, but is still attached to the video cable. Usually, we can order a replacement LCD screen using just the model number from your laptop. In some cases, we may need to know the part number of the LCD screen itself. If so, we look at the back of the LCD screen once we remove it from the laptop. The part number is a string of letters and numbers, such as LP254WE2 or LTN156AT 19-001. This is the information we need to find the right replacement screen. Some prefer to always replace their screen with the official LCD offered by the manufacturer. Others prefer to save money by using a replacement LCD provided by an independent manufacturer. Ultimately, it’s up to you which one you want us to install. To replace the screen, we first remove the tape holding the ribbon video cable to the screen. Then gently unplug the cable. There’s another cable running from a small circuit board, called the inverter. This cord is the power source for the LCD. We remove this cord as well. After finishing this last step, the only thing left to do is to reassemble your laptop. Following these steps to replace a laptop LCD screen can be very time-consuming to do on your own. But luckily, you don’t have to do it yourself. You can mail your laptop to us, or you can drop it off at one of our many locations in California or Oregon. Just call us at 1-800-919-6373 or fill out our contact form to discuss your laptop screen problem. Visit The Nerds: Having motherboard problems? Come in to our Sacramento computer repair shop or one of our other shop locations across California and Oregon to get your computer fixed today! 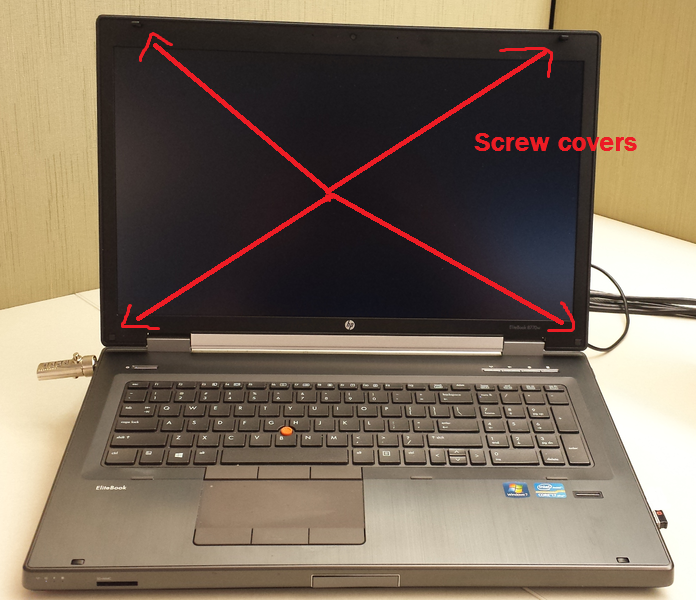 We hope you’ve enjoyed this guide to how laptop LCD screens are repaired. If you’d like more info about how laptop repairs are made at Nerds On Call, check out our laptop repair service page. Why is there no image? My laptop screen shows an image, but it’s really dark. What’s going on? Can you fix a broken laptop screen? Or do I need to buy a new laptop? We can certainly fix a broken laptop screen by replacing it.